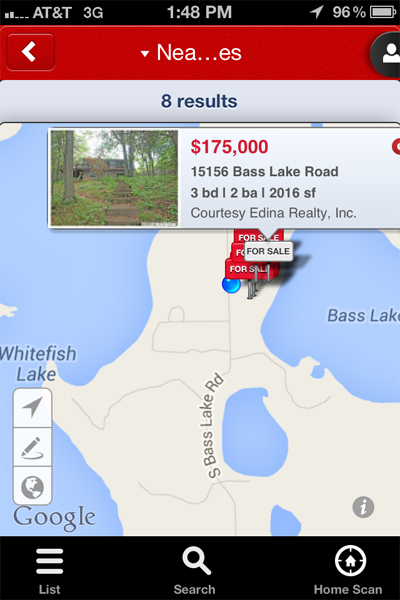 How the Edina Realty Property Search Mobile App can help power your search for a lake home or cabin. 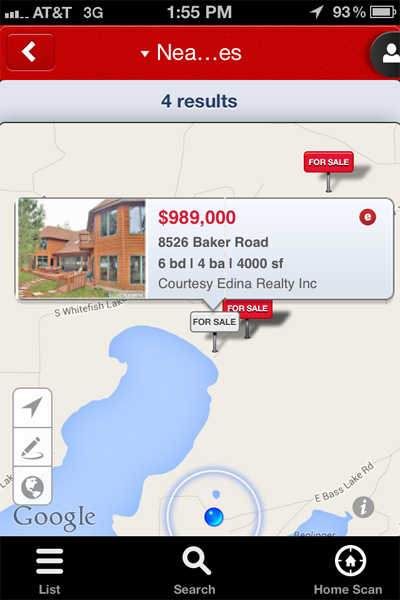 The Edina Realty Mobile App has nearly all the features of our regular Edina Realty Website, but it’s optimized for a smaller screen. And in one way, it’s even more powerful than the version meant for desktops and laptops. It uses your device’s built-in GPS module to tell you about all of the properties are available near your current location—and that includes not just my real estate listings, but all listings. 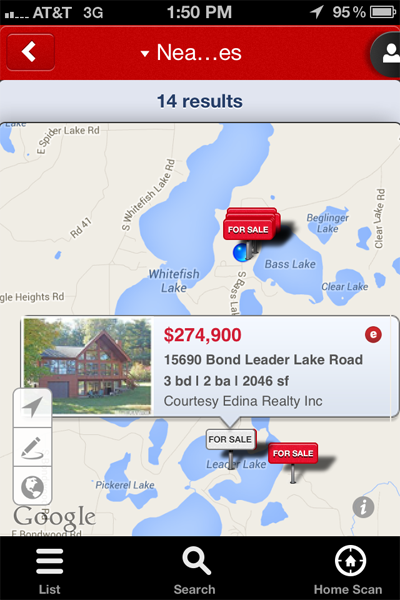 The Edina Realty Mobile App shows up to 50% more listings than certain other apps. 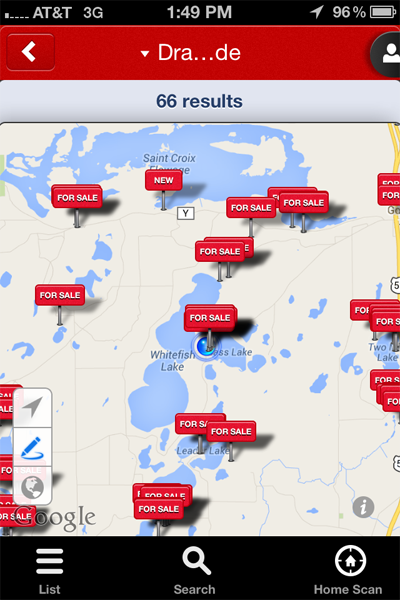 And unlike those other apps, it shows listings that are current and up to date in every way. The app is available in versions for iPad, iPhone, and Android devices. Once you’ve completed a search, you can zoom in, zoom out, or click on a property for details and photos. Then, if you like what you see, you can contact me via phone or email to set up a showing. Jean Hedren, Edina Realty, NW Wisconsin real estate. By the way… If you’re curious to learn more right now about the Gordon-Wascott neighborhood shown in those screen shots, here are links to my listings on www.JeanHedren.com. With the Edina Realty Mobile App you can search smarter, compare favorites, save them to your myEdinaRealty account and sign up for price alerts, and even send properties to friends or family via email or social media. Download your free app today.